WordPress site is the major platform for business to build a blog or official website to promote the brand. 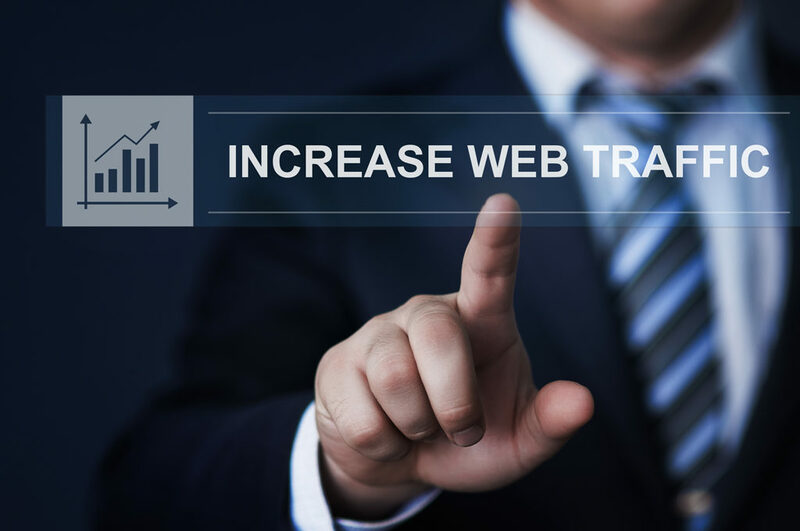 However, proper SEO optimization and maintaining the site are two important things that will certainly boost their speed and traffic of your website. The main agenda of a website development company is to develop niche site that brings more visitors. If you’ve zero ideas regarding the process, then Value4Brand is here for your service. The company has been developing websites for various clients of various domains by implementing new techniques and strategies to speed up the site. Why it is important to increase the speed of the website? Optimizing is an important stage of website development. It is one part of SEO strategies and is also to the face of reputation management. Thousands of new WordPress sites and blogs go live daily, and every site competes with each other to get the top spot of the search engine in their respective domains. But above all is the improving of website speed. If the website takes several minutes to open up, it will definitely lose a visitor. Before optimizing your site, it is important to monitor its current speed. Website development team will use Performance Check Tool to figure out the speed that would capture loading time, total page size and other things. On the basis of the tool result, the development team will check which area needs the fixing. Web hosting service is important for improving the speed of the site. Cheap price, but with multiple marketing strategies can be distracting. The server of a web hosting should have a good RAM speed and is capable to manage multiple sites. Learn about the web hosting provider and the server along with the hosting plan. Heavy images and videos can take a toll over your site speed. If your website content has video and images, then you need to compress them and upload for faster loading of images. Check for a good quality, but low size JPEG and PNG file. 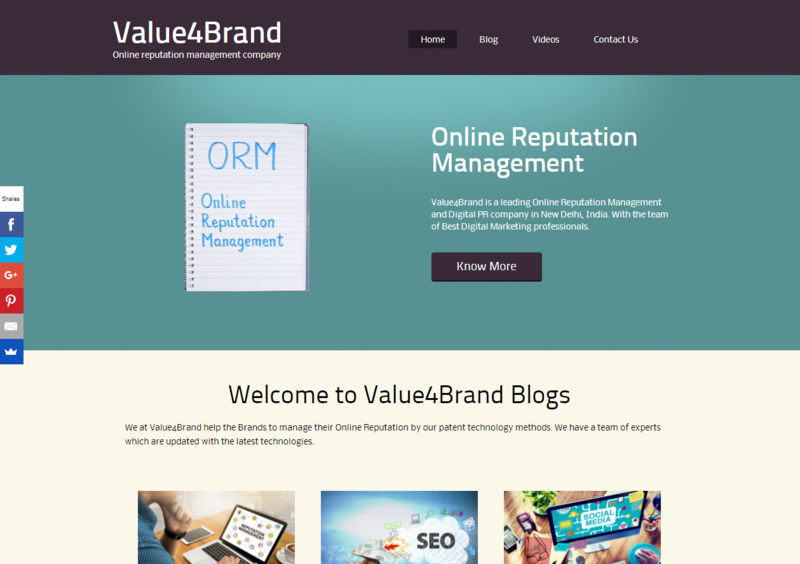 Value4Brand is a leading Online Reputation Management and Digital Marketing company in New Delhi, India. Having a team of digital marketing professionals and website development team, the company helps to build, repair, manage and promote their brand and website globally which help to meet the client’s revenue requirements. Equipped with advanced tools and TAT based processes, we ensure a strategic solution for the company. Amidst this growing competition, it has become very challenging to drive traffic to your site. One has to be really innovative and unique with the topic and its description when presenting any content to the users. Similarly, an interesting approach should be applied to the social media to attract the users to the brand. Think like your customers: When posting anything on the site for the purpose of attracting the audience, make sure that the content or the post is something that will interest the audience. For making it secure put yourself in the place of your audience and then think of the ways to attract them. Competitor Analysis: Invest your time for analyzing the strategies and working style of the competition or the businesses that are doing better than you. Then, incorporate those tips in your working for getting better results. Include Backlinks: Develop networks with the top players in the market and encourage the process of cross-promotions and back linking. Once you are among those who are associated with the top brands, customers will automatically turn towards you. User Experience: Since, the main focus is to attract the users to the site, the most important factor to focus your attention is on providing a friendly user experience to the customers. If the users and customers are happy with the way they are being treated then they will always be with you as your forever clients. Are you short of funds to step into the shoes of an entrepreneur? You do not have to worry. One of the best ways to raise funds for your startup is by crowdfunding. Yes, you can choose your kind of crowdfunding from the three kinds that are now prevalent. Equity is the best pick for an entrepreneur. But how does one go about raising funds by this method? You need to resort to digital marketing for crowdfunding. You need to work with the right professionals, know who to target, and use the correct strategy. This way you will be successful in raising funds for your startup. Yes using the process of digital marketing you may have to wait to see the results. 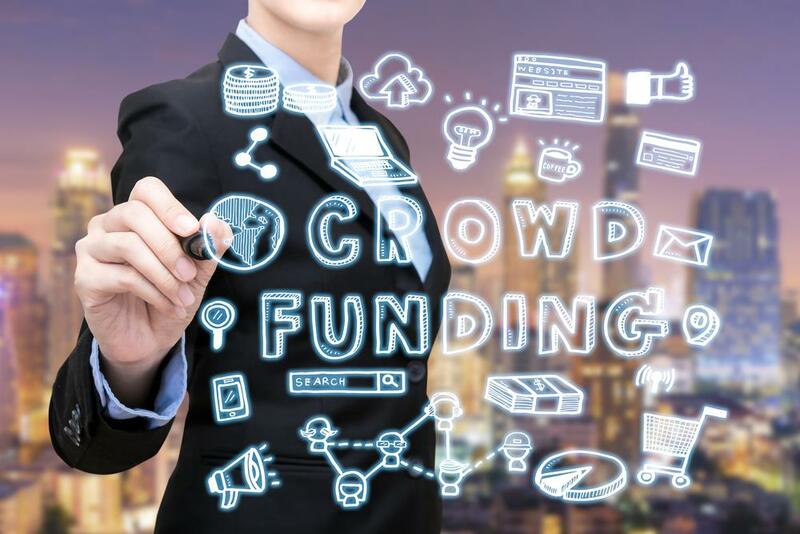 The investors may usually see minimum five ads before he or she decides to invest in any business proposal that has come via the equity crowdfunding. The earlier you start your campaign the higher the chance of raising funds is. There are many aspects of marketing to raise funds via Equity Crowdfunding. However following these 5 guidelines may pave the way for grabbing the attention of the potential investor. Only when you have raised enough funds can you work on the ideas of your startup. So you should put your ideas across in the most attractive way. For digital marketing of your campaign, you use the Facebook ads. This is one of the most effective ways to reach the investors and create an interest in them. You can use the Twitter ads page to do your digital marketing. This site has a credible reach among various groups of people. You may be able to catch their attention through this handle. LinkedIn another social media site also can be of help. This is mostly used by business fraternity so there is a good chance of your plea reaching the right people. You can use the search engine marketing technique too. You can pay Google for some search terms. This will help traffic to be driven to your crowdfunding campaign site. One of the most time-tested methods is email marketing. It has worked for many so there is less chance that it will fail you. There is nothing wrong in giving it a try and you may be surprised to get a few investors showing interest in your startup after receiving some emails and videos pertaining to your business venture. These tips will surely help you raise some funds and your startup will see the light of day. The world is fast turning into a digital world and the digital age is here to stay. People are finding digital solutions to everything so why not for marketing. Here comes the Digital Marketing. The Products and Services marketed via the digital technologies can be termed as digital marketing. In this digitized world, this kind of marketing is gaining more ground. Nowadays it is found that more and more people are connected to the internet and a higher number of people are using mobile phones, laptops, and PCs than before. Social Media Marketing – marketing done via platforms like Facebook, Instagram, LinkedIn and so on. Mobile Marketing- Marketing did via SMS, Mobile Ads, Mobile Apps. Email marketing- Marketing did via sending emails. Search Engine Marketing and so an. Cost Effective than the old methods like the TV ads, and newspaper ads. A faster way to put things across and communicate with the target audience. The marketing strategy is more streamlined and uses practical ways. Easy to trace and monitor results. Easy to track consumer and customer response rates. Enables to plan and strategize your marketing in the coming days as per the response. The importance of digital marketing is growing because the digital platform is more extensively used than before and it is the preferred mode of communication especially among the young and the tech savvy. This number is growing and a day may soon come when everyone on this globe has access to the internet and then it will be an all-digital world. Then the way to go will be digital only. Hence it is prudent to switch over to the digital mode. The sooner and better what is your say? 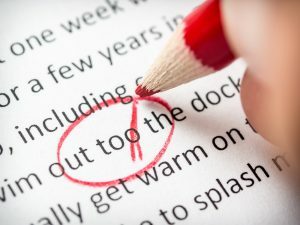 Maintaining Online Reputation – The internet is here to stay and today especially the young tend to refer to the internet for everything they do. These young have a presence in many of the social media sites too. Gone are the days of conventional marketing. It is the age of digital marketing. So it is found that the commercial establishments to are very much present online. Most of the work is done online these days. Your presence online can also be tracked with ease. So what you post on the social media is visible to everyone who is connected to you. Whatever you do online does not remain a secret anymore. You need to be careful about what you post especially when it is a public domain. A college student may find it funny to post some pictures, anecdotes or any other incidents about them on their home page. It can go viral at any time and many people will come to know about it soon. If it is a little on the offensive side or it has hurt the feelings of someone you may be in trouble. Also there may be trouble store for you when you apply for a job. The interviewer may have come across some posts from your side those were done just for fun. If they find it a little distasteful, they may reject your candidature. Your whole future can be at stake so everyone needs to be careful about what he or she posts. Also a professional who is at work should be careful about what posts they are putting up. If it goes against the company’s policies you may be taken to task. 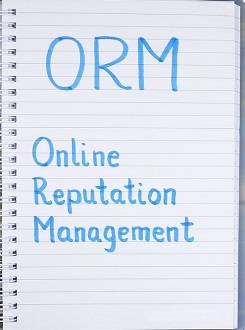 It is in your hands to build your online reputation. Just as much your physical reputation is important so is your online reputation. Having a high ORM is the need of the hour, so try to have a balance and do not jeopardize your life with some reckless and unmindful behavior. 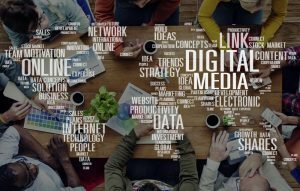 Without the correct tools, managing multiple cross-channel digital campaigns is a challenge for several marketing professionals. 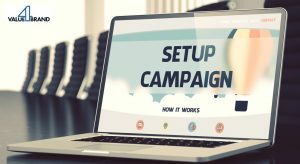 But hiring digital campaign management experts like Value4Brand, you can easily manage digital campaigns across multiple channels from a single platform. 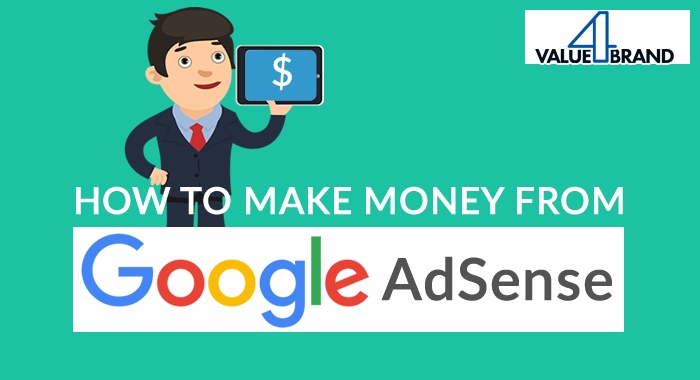 Reach your target audience through Social Media Ads, Google Adwords, PPC and more with ease and measureable results. Digital campaign management should be easy and creative. You shouldn’t have to waste time executing one campaign when you could be strategizing about your next one. That’s why Value4Brand offers an intuitive, easy-to-use campaign management solution that enables marketers to launch integrated campaigns from a single platform quickly and easily. Create, personalize, test, launch, and optimize your campaigns more efficiently so you can spend less time on execution and more time on strategy. Value4Brand helps you to design campaigns that covers every channel, including email, mobile, social, web, forms, and surveys. Customer Open view — Create a profile for each contact so you can analyze their actions and target, measure, control them precisely. Contextual Personalization — Ensure your message is resonating with your target audience by delivering personalized, data-driven content. Adapt, optimize, and update your content while your customer is browsing. Behavioral Retargeting — Retarget audiences based on their actions, purchase history, or CRM profile data and customize their experience for better ROI. Value4Brand focus on what really matters, their customers, their organizations, and driving ROI. Our track record of success speaks for itself. Contact us today to learn how to manage a digital campaign with Value4Brand. Social media campaigns are for a selected reason and solely last for a precise time period. And, that the strategy we tend to undertake in running a campaign is really totally different from those employed in social media selling. In this article, you’ll get to find out many unjust tips through studies of prospering social media campaigns by many brands. The purpose was to introduce a replacement fleet of trains and, there Eurostar a high-speed railway service, used Instagram with a novel twist exploitation its horizontal profile gallery. AKQA the agency behind created associate degree impeccable illustration of the train journey consisting still pictures, animated videos, etc. Here, every and each image depicts associate degree approaching destination with special offers, explains edges of the fleet then, conjures up audience to explore throughout the profile. With 9.7 million impressions generated via Instagram, the campaign continues to get a positive impact. Look for new ways to use the major social platforms. The occasion was of the launch of Tack Emoji and so, Taco Bell partnered with Deutsch L.A. to create the Taco Emoji Engine. The brand created GIFs that would automatically get tweeted to anyone who tweeted a taco and another emoji @tacobell. The strategy more than 798,000 engagements and generated the highest amount of brand mentions in a day for the brand. Involve your audience and engage them on social media during your campaign. Airbnb took Oscars as an excellent selling chance for its storytelling complete image. however as Marriott building being one among the sponsors, Airbnb wasn’t allowed to advertise throughout the ceremony or maybe mention the Oscars or any of the nominations. With an excellent social media campaign, #LiveInTheMovies, Airbnb asked its followers that moving picture they’d prefer to sleep in throughout that weekend and replied the responses with Airbnb listings that matched the moving picture location and even offered free stays for a few. The campaign generated quite sixty three million impressions and one.3 million video views, that were quite what the other brands had achieved throughout the Oscars weekend. It’ll be worthwhile trying new, creative marketing experiments that are in line with your brand. From last twenty years, Starbucks has been mistreatment red cups for the vacation style. In 2015, it had brought a style with Starbucks brand, a fairly easy style. People started creating drawings on that then, the complete invited them to share their design on Instagram with the #RedCupArt hashtag. In 8 days, it received over one,200 artworks from all across the globe. In 2016, it absolutely was done once more associate degreed now the complete showcased a number of its favorite styles in its Instagram stories and featured the highest 9 styles in an Instagram post. Invite your audience to co-create content with you and thank them in different ways. It’s a great strategy to increase audience engagement. Krylon, the paint complete, in a very quest of standing totally different within the crowd, bought 127 things from the world’s longest cut-rate sale, reworked them with a layer of Krylon paint and sold them on Pinterest for a minimum of double the price. The best factor was that Pinterest had simply launched their buyable pin feature and also the campaign enhanced the daily visits to Krylon’s Pinterest page by four hundred p.c ANd generated an calculable $2.7 million value of earned media. For small businesses with limited resources, it’s often better to focus on one or a few channels than to use all the available channels. On request of a client that she wants her kid to assure with this factor that there isn’t any ghost within the house, ADT’s client service rep, Xavier Rollins told the customer’s kid that they need a ghost alarm in their house, and if the alarm is triggered, the police are going to be sent to chase the ghost away. ADT and its partner agency created a minute-long animation of the story with the $64000 phone oral communication because the audio. to maximise campaign impact, they waited until simply before the National Ghost looking Day to post the video. The video clothed to be an excellent success, gaining over a hundred thirty,000 impressions and over one,000 links to ADT.com. Timeliness makes your campaign more relevant to your audience, and they might be more likely to engage with and share your content.